Lexon are widely regarding as one of the fastest growing pharmaceutical distributors in the UK. Established in Redditch in 1995, turnover has grown to over £100m. Lexon is a family owned and managed company with family values firmly at the heart of their business ethos, and a culture which is adopted by all their employees. The whole team has the company’s best interests at heart, ensuring that all their hard work continues to keep Lexon firmly on their customer’s map. After initially talking to Lexon regarding storage equipment for their new DC in Leeds it soon became apparent that there was strong synergy between the two companies. They were looking to partner with a like-minded company with a strong track record in fit outs to assist them with the overall scope of works. We were only too happy to help. We began the process by planning out the optimum layout for Lexon’s new warehouse. Quickline led the design team which included the conveyor suppliers and key decision makers from Lexon. An integral part of the design brief was to future proof the overall storage capacity and to optimise picking efficiency. The approved design hinged around a powered loop conveyor system where items are zone-picked into totes with the faster moving products dispatched by an a-frame sorter. The conveyor was located above and below a fire rated mezzanine floor which covered an area of 2000m2 and had carton live storage (CLS) feeding the pick locations. In the slower moving areas static shelving was specified to maximise the number of SKU’s to the area, which delivered a good mix of storage across the system. The fit out was project managed by Quickline in its entirety and notifyable under CDM regulations. As the products being stored are Pharmaceuticals the first job involved a deep cleanse of the warehouse including vacuuming dust out of the cladding rails and wiping down all the cladding walls. This was shortly followed by the first stages of the electrical installation and co-ordination of the lighting system with the storage equipment, so that best visibility in the aisle was achieved to improve efficiency of picking across the system. One of the more unusual aspects of the Lexon project included the installation of a grade 5 vault for the safe keeping of controlled drugs. This process was closely monitored during the installation for H&S as the side panels for the structure weighed up to 500kgs each. Once complete, a 250mm thick steel door was fitted and a service cage was added around the perimeter, including a hatch to hand over drugs orders direct to the delivery drivers. In addition we managed the full installation of a backup generator and UPS (uninterruptible power supply) system so that in the event of a power cut Lexon still manage their deliveries on time. 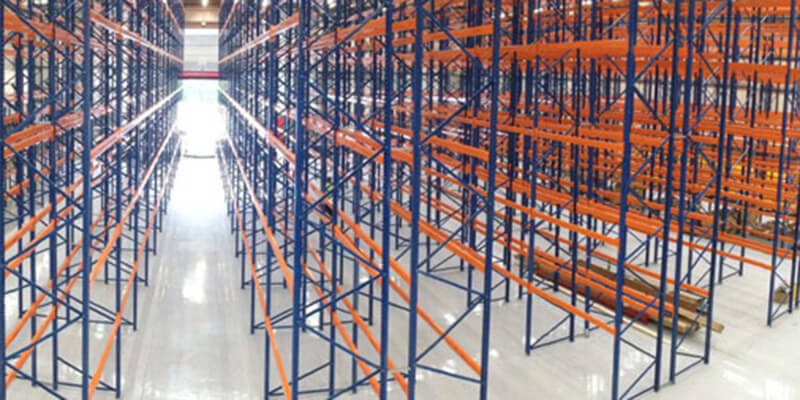 In the main body of the warehouse standard pallet racking was added. The overall capacity of the system was 3500 pallet locations for the bulk stock store of goods plus any products that required to be bonded. The racking was based around an articulated fork truck design for maximum space utilisation. The overall project value was in excess of £1.5m and was delivered on budget and on time resulting in high levels of client satisfaction. Delighted with the results, Anup Sodha, Managing Director of Lexon commented “Finding Quickline really helped us push our project forward. Their experience in solution design, combined with articulate project management, really made the difference. I am extremely happy with the outcome and would recommend them for any warehouse fit out project”.